Genotype is not the same as Phenotype! The fur color Merle is distinguished by a characteristic look regarding the color pattern. 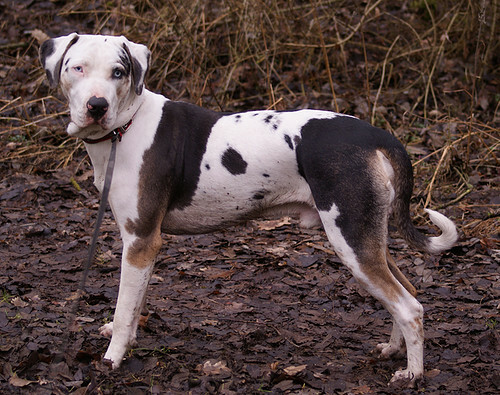 In this case a dog shows larger and smaller areas with diluted pigment and others with full pigment. The gene responsible for the Merle color also causes a color fading of the original fur color. 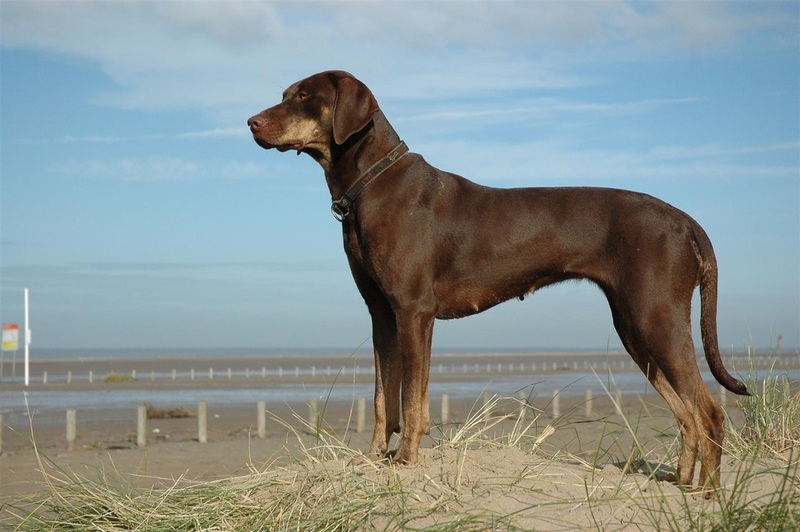 But comparing with other color fading genes, this does not affect the whole fur, just several areas and spots which can be found in different patterns all over the dogs body. Merle also effects the eye color. 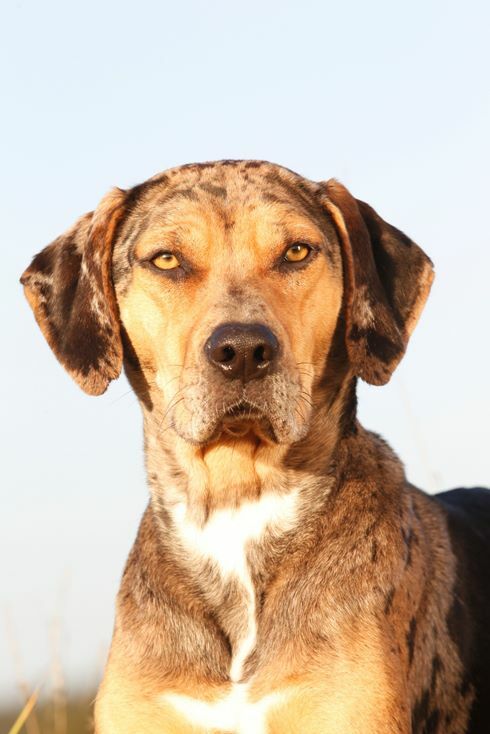 Merle-colored dogs can have solid brown, blue or mixed colored eyes. They can even have more than one color in one eye. Merle is carried by a genetically change in the Silver-Gene. This is a mobile genetically element (Retro transpose), that lays within the SILV-Gene and deranges its functionality. This for the Merle color responsible defect SILV-Gene is named with M, while the normal SILV-Gene is named with m. The typical Merle fur color originates in dogs which carry the mutant version of the SILV-Gene heterozygous (Mm). The defect SILV-Gene (M) shows an imperfectly dominant heredity. Dogs which carry the heterozygous mutant version of the SILV-Gene (MM, double merle), are mostly colored white, or have great white areas on their body/ head. These kind of ogs can have very severe damage and malformation of the internal ear which can lead to deafness. In addition there can be malformations of the eyesight as well as anomalies of the sexual organs, the skeleton and even the heart. To prevent this defects from happening, you should avoid to breed two Merle looking dogs. 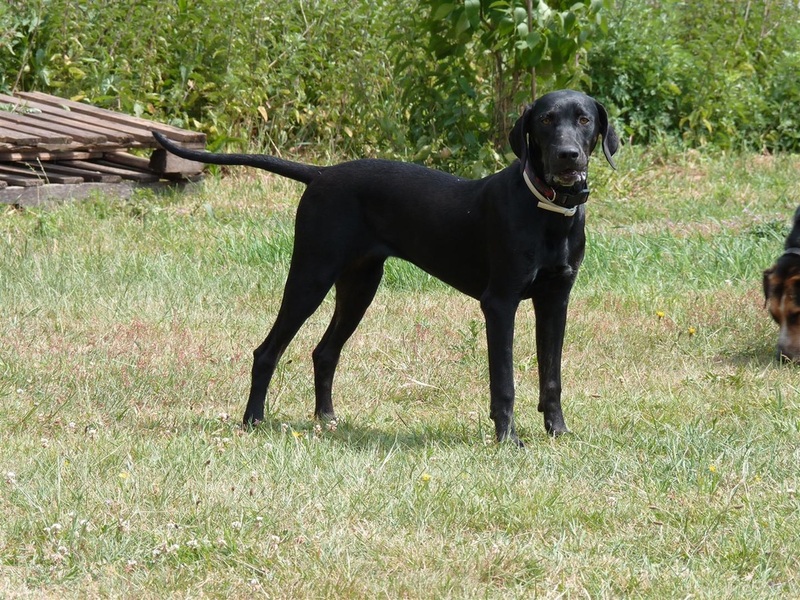 Even if it’s rare, but there are dogs which don’t show the merle color, but still carry the Merle gene and when bred they can have merle colored offspring. Such dogs are called cryptic Merle. 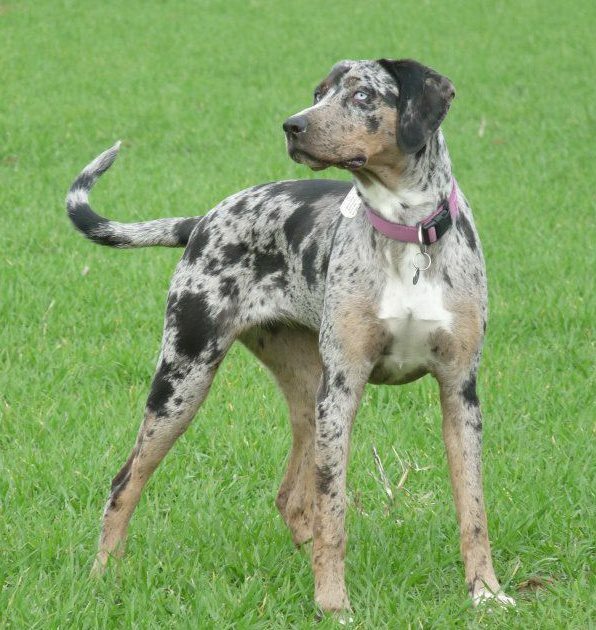 Its assumed that cryptic Merle dogs carry a specific Merle gene which has a shortened mobile element in the SILV-Gene. McM= Dog IS Merle color. MerlecrypticMerle. Cryptic Double Merle which NOT look like a Double merle. 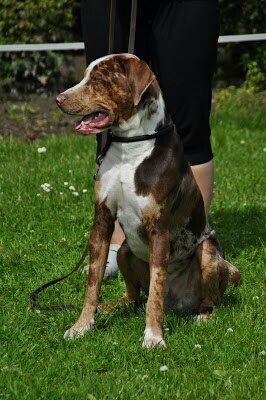 Dog can have brown eyes and Non white coat but always Merle patern in the color as a normal Leopard. Mcm= Dog IS solid LOOKING. Solid who NOT looks like a Merle gene carrier. The cryptic often is called Ghost or Phantom. 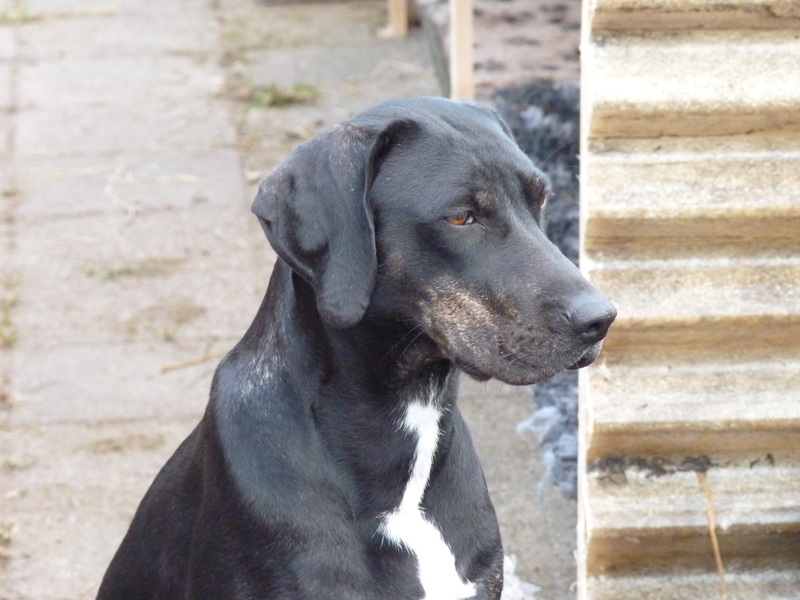 When you have a dog which carry MM genes, he always give 1 M ( Merle gene) to his offspring. 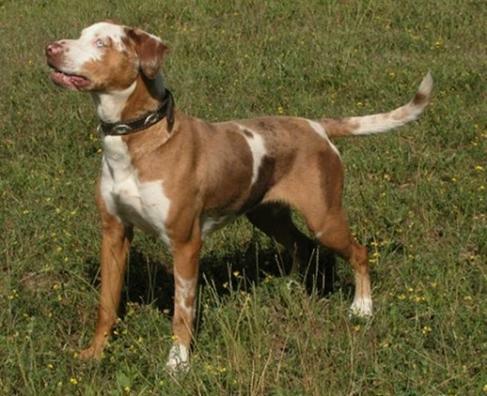 So even if a solid colored pup is born out of a parent with MM gene, this pup has a M, big M which means MERLE. Small m, means NO merle. Single Merle is Mm, Double Merle is MM, true solid is mm. So IF you breed a MM double Merle x to a mm, NON merle, ALL pups carry the single Merle gene. If you breed a Mm single Merle to a x Mm Single Merle you can have 25% MM, double Merle, 50% Mm Single Merle and 25% mm, true solid. If you have a cryptic Merle gene carrier as one of the parents,it is most likely the cryptic gene is forwarded to 50% of the offspring. . Offspring = 25% of these dogs are mm = no merle -solid. 50% of these dogs are Mm = single Merle, 25% of these dogs are MM = double Merle. Attention! Severe health damage can be caused! Offspring= 25% of these dogs are Mm = single Merle. 75% of these dogs are MM = double Merle . No true solid pups can be born out this combination. All solid pups carry merle gene Attention! Severe health damage can be caused! Offspring = 100% of these dogs are MM = double Merle. Attention! Severe health damage can be caused! THE OPTICAL APPEARANCE DOES NOT TELL ANYTHING ABOUT THE GENETICAL SETUP OF A DOG! Only with a proper DNA test you can prove what kind of gene each dog carries!